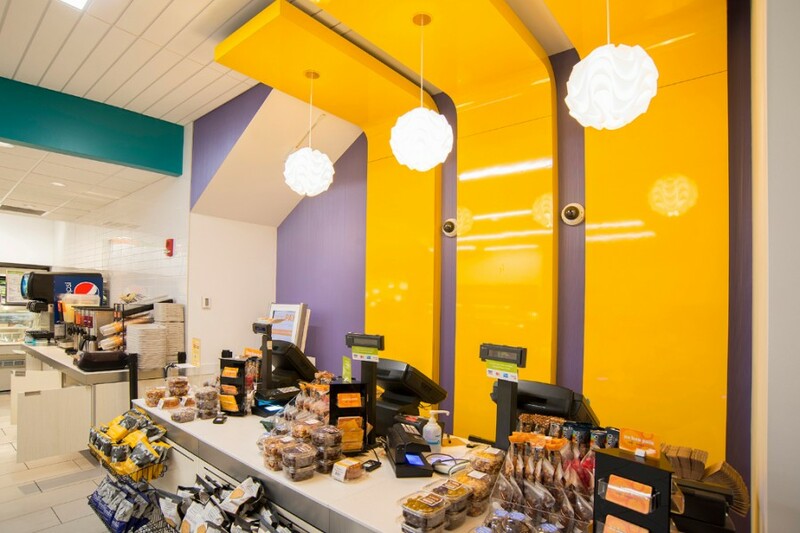 Trinity completed the 3,000 sf Au Bon Pain café bakery in the lobby of the Boston Children’s Hospital in partnership with Prellwitz Chilinski Associates. 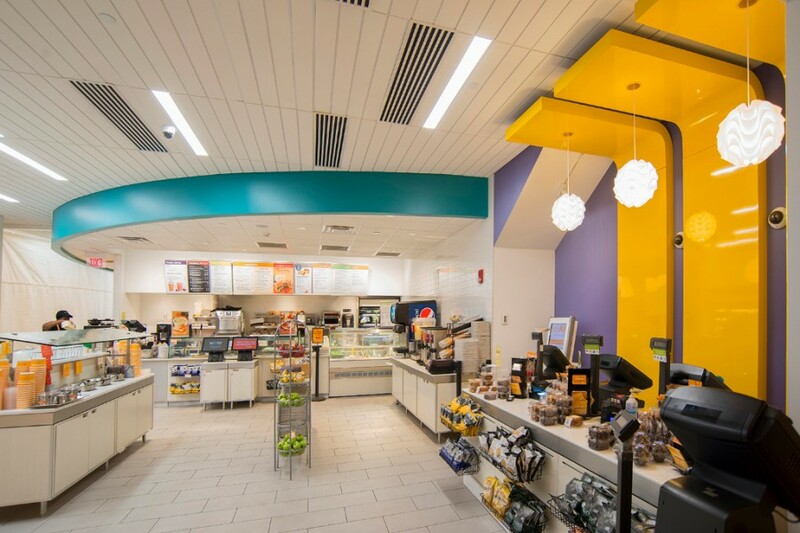 The café features a full kitchen with a walk in cooler and a colorful dining area. 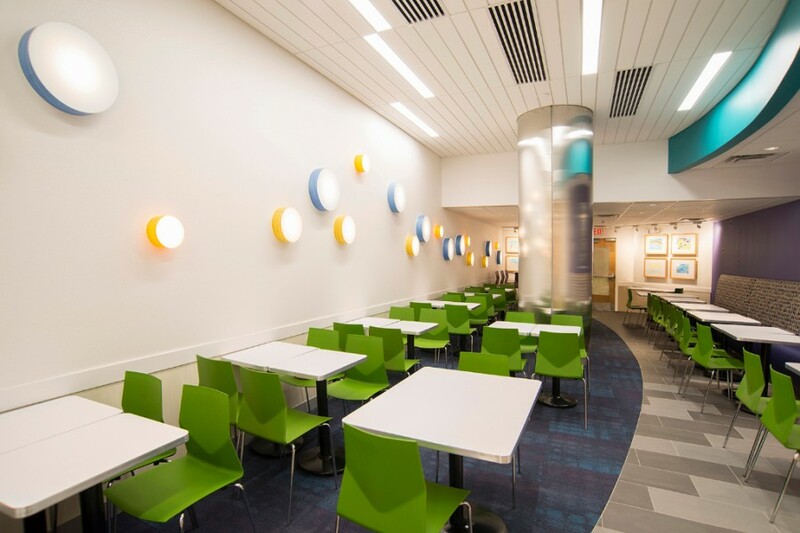 Key design elements include stainless steel wrapped concrete columns, yellow millwork panels with pendant lighting, flooring tile and wall mounted circle lights. 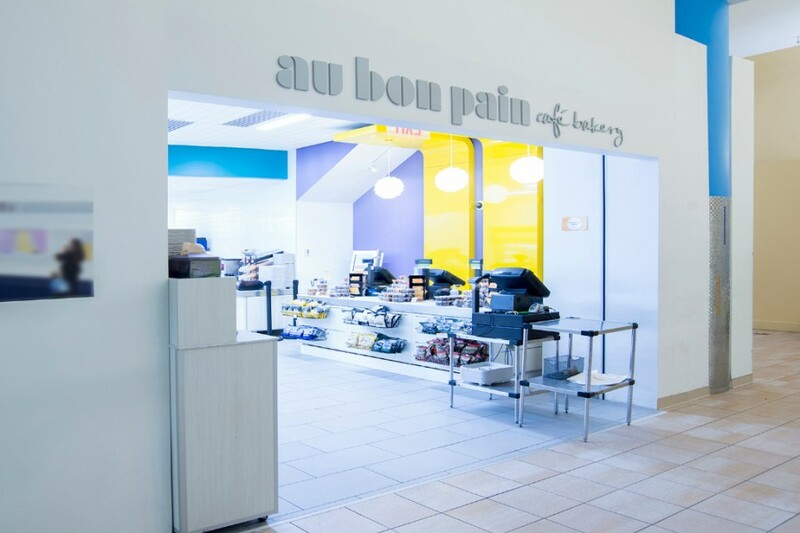 The Au Bon Pain jobsite was located in the middle of the busy hospital lobby and the project team constructed a temporary café to serve guests while the existing space was undergoing renovations. 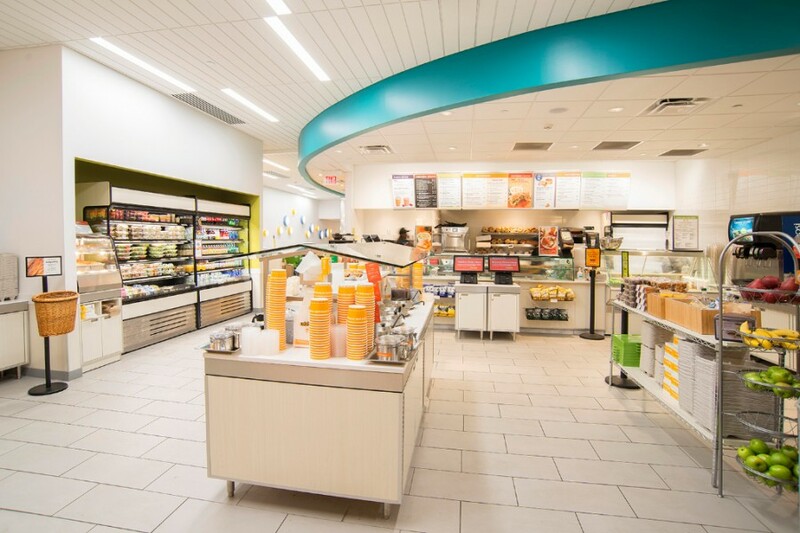 Sited over a technical equipment service room and in a space that overlaps two adjoining buildings the café build-out required significant noise and dust mitigation in addition to a saw cut trench and core drilling into the tech room to run piping. Dealing with varied ceiling heights and structural elements, as well as HVAC conflicts due to the variances in the two spaces posed further challenges. Construction included 20 feet of demolition from floor to deck as well as the building of cat walks to access HVAC equipment. The project team masterfully handled the complexities of building in the occupied hospital environment and made a strong positive impression on both the client and the hospital.